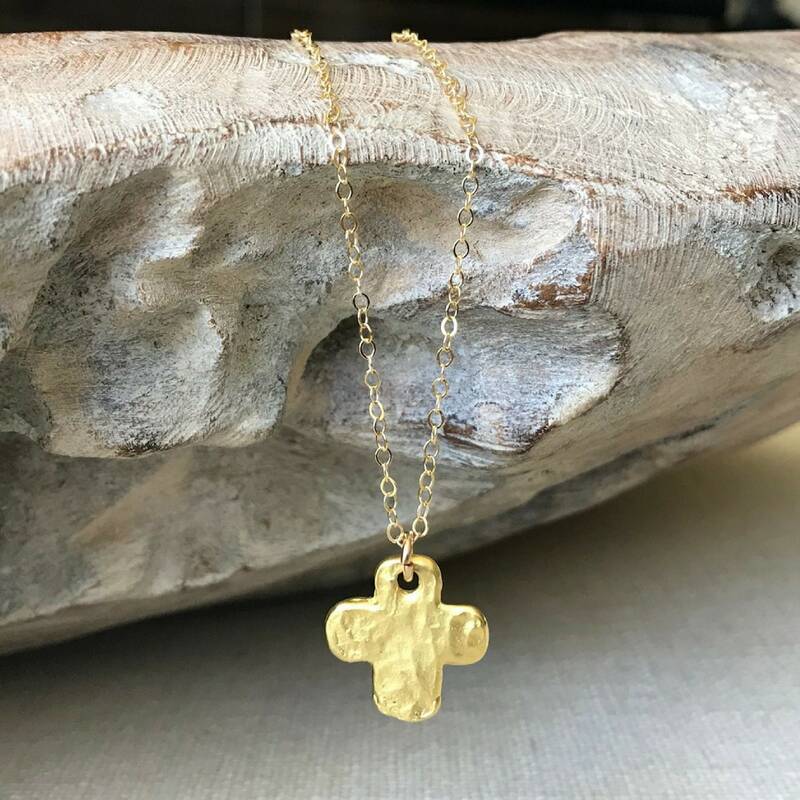 Simple and dainty, this small matte vermeil cross dangles from a gold filled chain. I finished the necklace with a gold filled lobster claw clasp and findings. 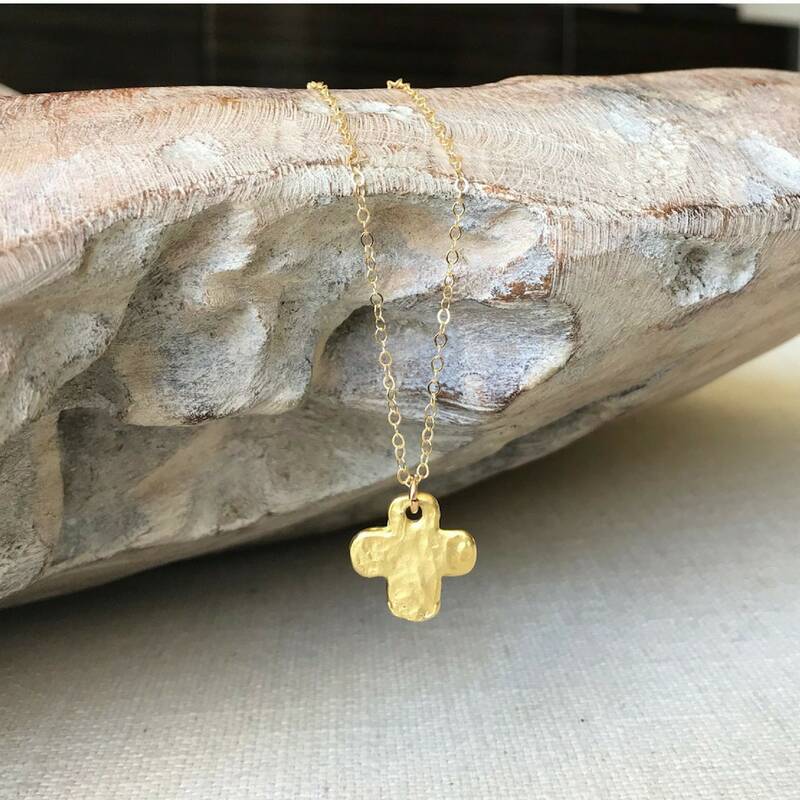 This necklace is wonderful worn alone and also makes a great layering piece. It goes with everything! 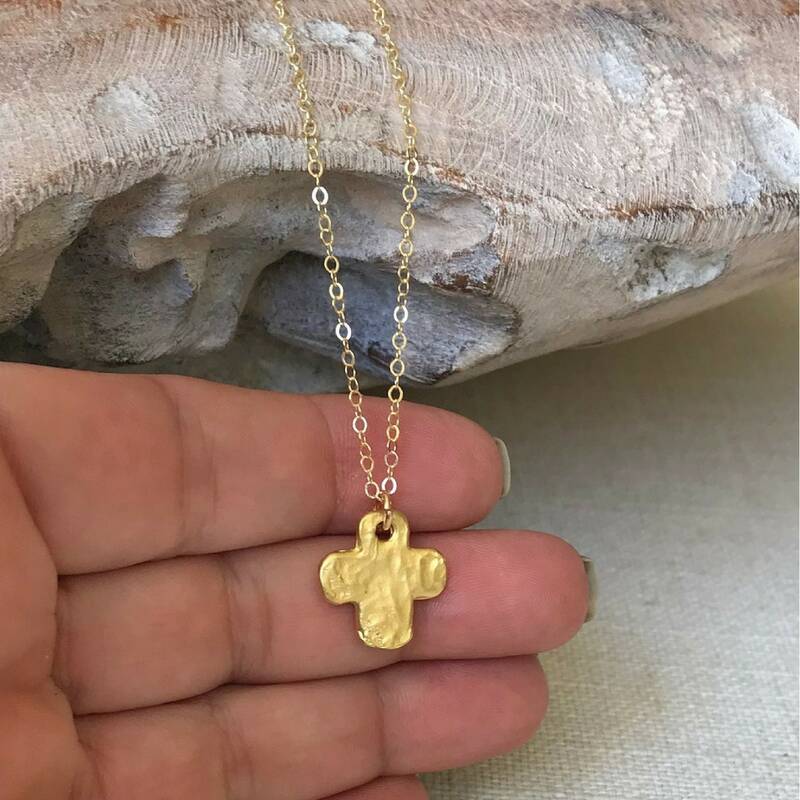 The cross pendant is slightly over 12mm. 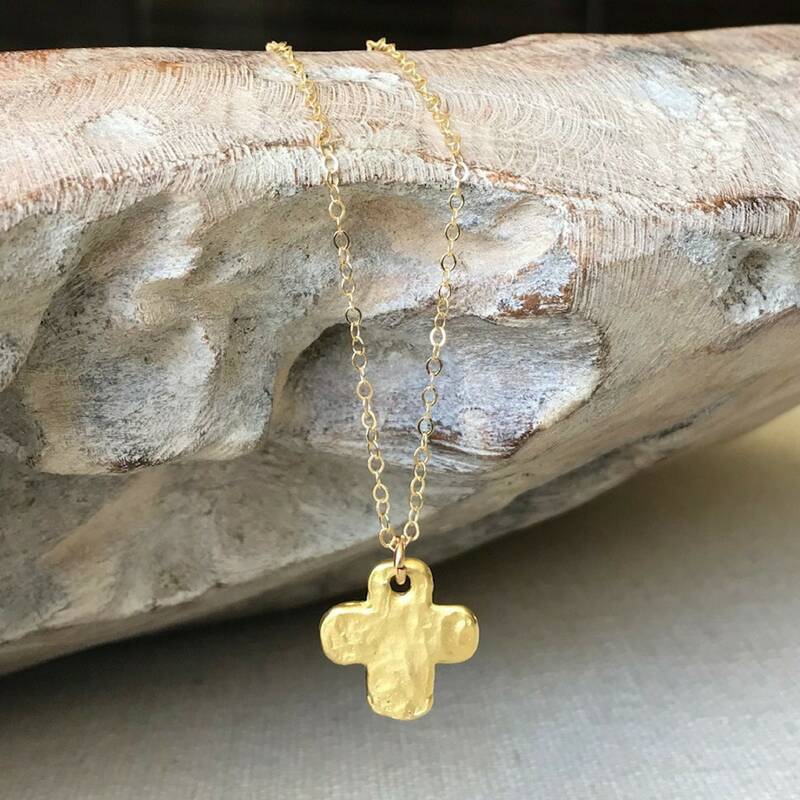 The necklace is available in 16", 18", 20" or 22". 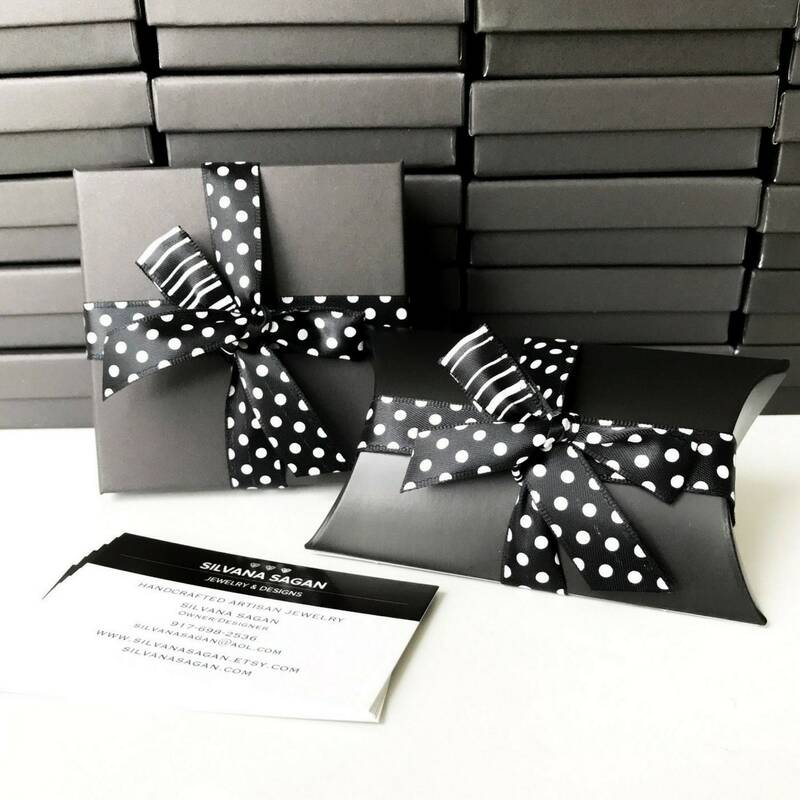 Please make your selection from the drop down menu at check out. Do not hesitate to message me should you prefer a length not listed. Very happy with my purchase. Thank you so much.